Kinshasa 09-04-2019 Politics - The President of the Republic, Felix Tshisekedi, inspected on Monday, April 8 at N’sele, the construction work of the mausoleum of his late father Etienne Tshisekedi. The inspection took place just after landing at N'djili airport from the United States. Félix Tshisekedi met personally with the site manager to see the progress of the work, the first part of which has already been disbursed. 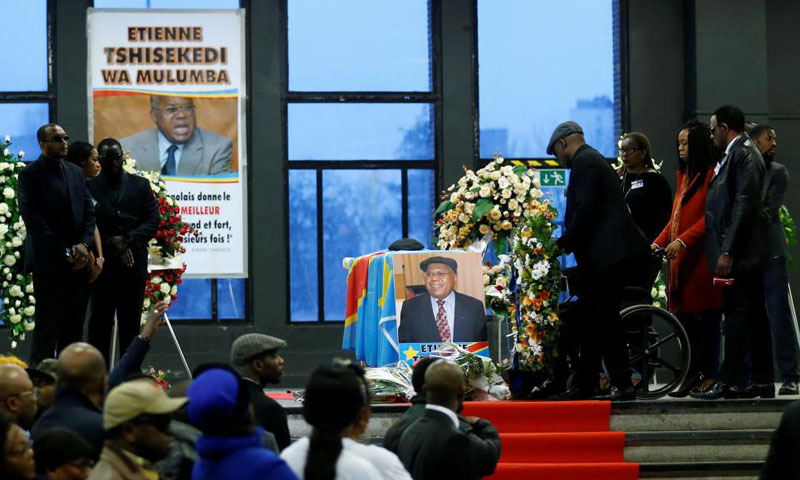 According to some family sources, the funeral of Etienne Tshisekedi could be organized next May. In addition, the widow, Marthe Tshisekedi, is still in Brussels because, according to custom, she cannot move until her late husband is buried, a source informs the family. Etienne Tshisekedi died on February 1, 2017 following a pulmonary crisis in Belgium.